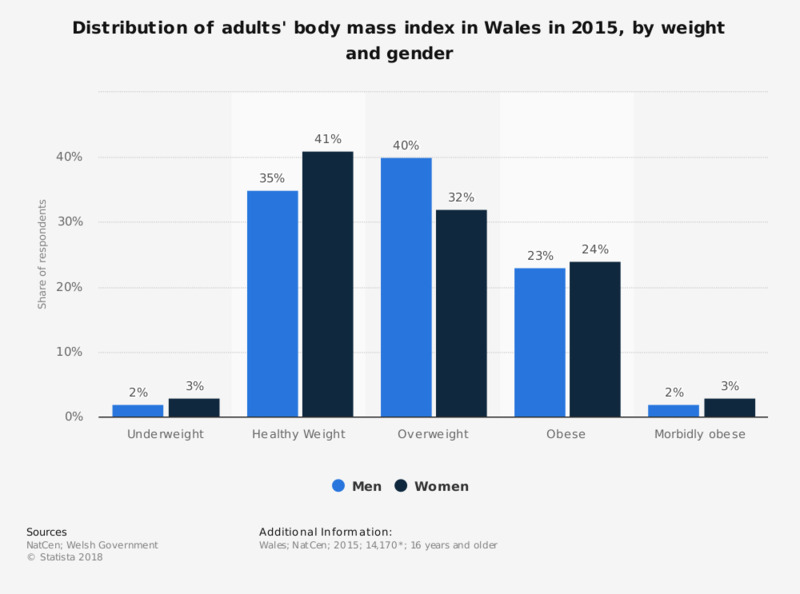 This statistic displays the weight of individuals based on their body mass index (BMI), by gender in Wales in 2015. That year, two percent of men and three percent of women were classified as morbidly obese. The source provides the following information: "bases vary, those shown are for the whole sample."